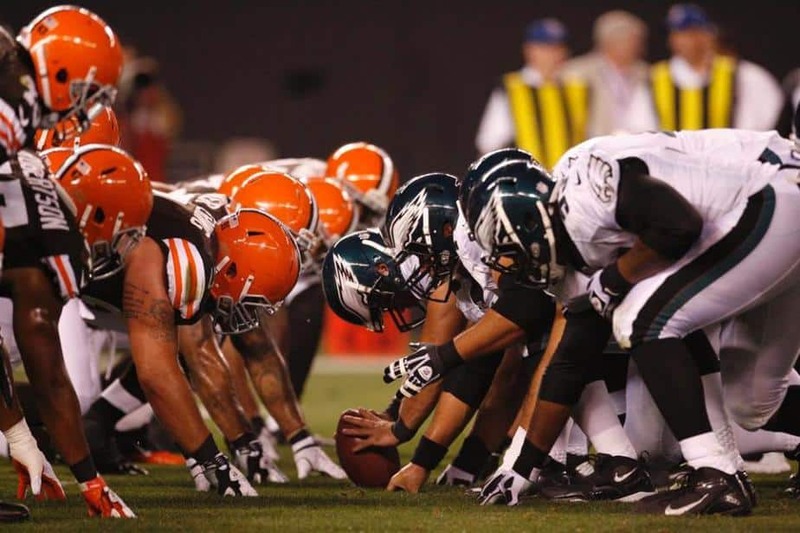 One of the early games on the Sunday slate of Week 1 pits the Cleveland Browns against the Philadelphia Eagles. While it’s still May, it’s never too early to get ready for the upcoming 2016 NFL season. Who has the best odds of coming away with a 1-0 record from this matchup? A preview and prediction are below. Both of these teams are going through some major changes. Chip Kelly is no longer the head man in Philly, and Mike Pettine is no longer in Cleveland. Instead, Doug Pederson takes over for the Eagles, and Hue Jackson for the Browns. The focus will be on the offense in both cities, as these two coaches are well known for their successes on that side of the ball. Coincidentally, it appears both squads could have a new starting quarterback in 2016. Sam Bradford is still in Philadelphia, but his job is definitely not safe. Both Daniel and Wentz are going to be in on the competition from the start, and if Pederson enjoyed having Alex Smith as his QB in Kansas City the past couple of seasons, then whoever takes care of the ball best will likely get the nod. That certainly means that Daniel — a well paid backup, if nothing else — will have a shot. If they were smart, they’d develop Wentz for season or two before throwing him in the fire, especially given that experience may be the only thing he doesn’t have as far as tools. But there was even more turn over than that for the Eagles. Alonso and Murray, two key acquisitions from a year ago, are both gone — traded for draft picks. As well, Maxwell, Ryans and Cooper will no longer be main contributors for this team, as they seem to be moving away from bigger contracts and star power, hoping to build anew with their new coaching staff. Across the border in Ohio, the Browns — as previously mentioned — may have a new starting signal caller as well. Last year, it was a combination of Josh McCown, Johnny Manziel and Austin Davis. In 2016, RG III has been given a new opportunity after Kirk Cousins permanently took his job away in Washington. Griffin was able to sit out all season last year, so he’s got to be hungry, looking for the right fit where he can thrive. Is Cleveland the spot? It’ll be tough, given the weapons to work with. At wide receiver, he’s basically got a rookie and converted quarterback as two of his top potential wideouts. Corey Coleman was brought in with the 15th pick of the draft, and he’s likely to start. With Josh Gordon nowhere near returning, it’ll be up to numerous unproven players to step up and earn playing time. Terrelle Pryor may be the most interesting prospect in the wide receiver corps, but look for guys like Marlon Moore, Andrew Hawkins and rookies Ricardo Louis and Rashard Higgins to all earn roles. As far as this matchup in Week 1 is concerned, it’s damn hard to predict exactly how all of these position battles will turn out. There will be new starters all over the field for both teams, and in brand new systems. Prediction: The Eagles have the benefit of playing at home. If nothing else, that’s a big boost in a battle of two teams without much chemistry or familiarity heading into the season. I would not expect many points to be put up in this game, especially since neither team even has a ground game to hang their hat on. Ultimately, it’ll come down to whoever has the fewest major mistakes. And if that is the case, my money is on a Pederson offense that specializes in not letting the game get away from them. Take the under, and don’t expect the Eagles to cover in a close one.